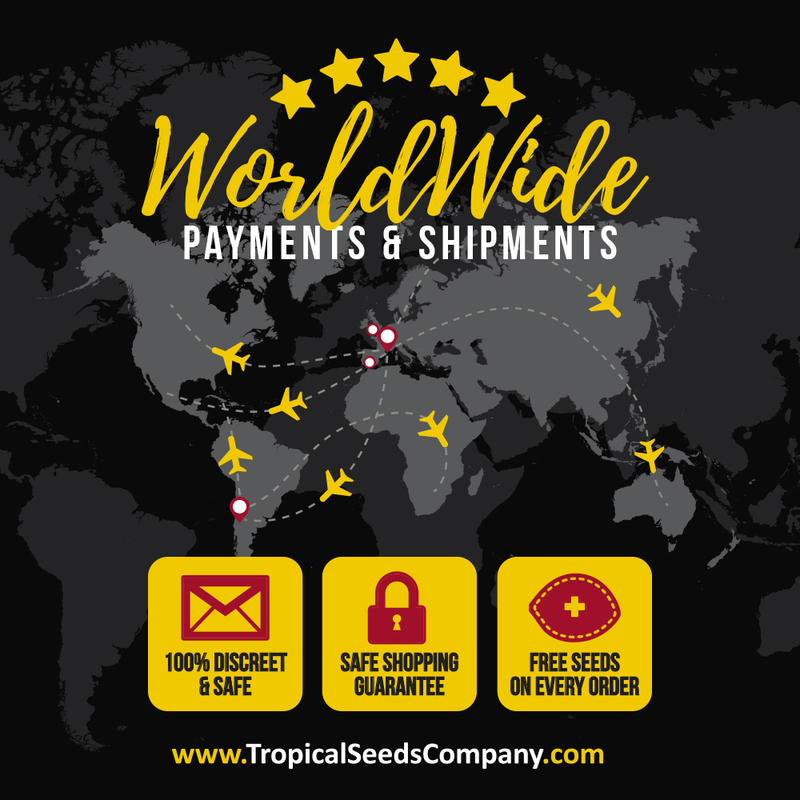 We can ship your order to all the world in a discreet and safe way 100%, in case of doubts you can consult with us at info@tropicalseedscompany.com. Packaging is small, compact and safe; perfect for every destiny. Orders are dispatched within a maximum of 48-72 hours after payment has been done and checked. We always use a REGISTERED shipment option. This way we´ll send you a tracking code and we can follow the order until it´s destiny and also we can demand if the envelope gets lost or there´s any problem. You can find more information about shipments in the section Safe Shopping Guarantee – Discreet and Ensured Shipments. In case of problems with your shipment we apologize and ask you please contact us at info@tropicalseedscompany.com where we will try to help you as much as possible. Many thanks!